We are proud to announce a new major release of Testlab (Henrietta Lacks). This update brings you new major features such as importing and exporting data from spreadsheets, quick searching of assets in your project, enhancements to our plugins and many more! For easy adoption Testlab now offers import feature for your existing test cases, requirements or issues with a CSV format using office tools such as Microsoft Excel. Data from your projects can also be exported in identical format. The feature supports importing requirements and their hierarchy, test categories, test cases including steps and issues. We also support importing values for custom fields, file attachments and comments. Enjoy a fast and thorough searching function to find the assets you are interested in your project. Type in a keyword and you’ll get an organized result list for matching assets for easy access. The search is implemented as an always accessible search field in your Testlab toolbar. The use of this field should be familiar for all users of some kind of embedded search, such as Mac’s Spotlight. Filtering in features which have testing results in your project. This helps to filter out all the features from the view which you never intended to be tested in your version or a run you’re reporting against. Content popups for related assets: By hovering your mouse on coverage related test cases and issues you’ll get instant popup describing the hovered asset. Added “Not in test run” status as a reported state in results bar. This tells you if there are tests still to be scheduled for the feature. Attaching files to your assets in Testlab cannot get easier. You can now drag and drop files on your browser to automatically upload and attach them. You can even drop multiple files to upload them all at once (feature requires dropzone support and works currently in Chrome, Firefox, Safari 6+ and IE10+). Issue types which are synchronized to Testlab can be now chosen. This way you can for example synchronize only defects and leave new features unsynchronized. The fields which are not automatically mapped to Testlab’s fields can now be configured to be mapped to Testlab’s custom fields. This way you can synchronize custom field content or synchronize a missing JIRA field (such as estimate) to a custom field of your choice in Testlab. Testlab now offers an user interface for administrators for which they can see all active Testlab sessions. This way they can transparently see how many licenses are in use and optionally terminate sessions from their Testlab. Jenkins plugin class level mapping: Test cases in Testlab can now be mapped to Jenkins’ run tests at parent level. For example, mapping a test case with “com.example.tests.ui” in Testlab will be set as failed if any tests in Jenkins with identifier starting with “com.example.tests.ui” fail. Reordering test case steps: Steps of a test case can be now reordered by dragging and dropping. Adding issues for test run’s test cases: A new icon button has been added to test runs panel which allows you easily add a new issue for a test case in an existing test run. For example, this way you can add issues later on to the test run if some are missed during the execution. More quick links: The user interface now contains more quick links between assets. For example test run panel’s “Added issues” counts can be clicked to open up the related assets in a popup window. Requirement class icons: Different requirement classes (user stories, use cases etc) now feature different icons. This way the different types of requirements are easily distinguishable in the user interface. Rich text editor tab / de-tab: Pressing tab or shift+tab in rich text editor now indents and outdents text for easier editing. Better keyboard navigation: Keyboard navigation in the user interface is now better, especially in the hierarchy trees. Opening attachments inline: Attached files with browser supported content types are now opened inline directly in the browser window instead of forcing the document to be saved to disk. 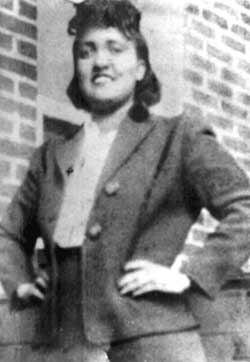 Henrietta Lacks (1920 – 1951) was an African-American woman who passed away of cervical cancer in 1951. Little did she know that her fatal tumors would hold a key to numerous medical advancements (polio vaccines and chemotherapy for example). Her biopsied cells were found to really thrive outside her body and would be used to create the first immortal cell line for medical research so that her cells are still alive today – over 60 years after her passing. Her cells were used to create the so called HeLa cell line for scientific research – currently the oldest and most commonly used human cell line. They were also the first human cells successfully cloned in 1955. Henrietta’s cells have been mailed to scientists around the globe for research and scientists have grown some 20 tons of cells. Henrietta is still living today, around the globe and bigger than ever. Find out more by listening Radiolab’s great short story about the subject!